There is a vast selection of coffee houses, restaurants, pubs and bars at Stansted Airport. No matter if you are pressed for time or have a few hours to kill before your flight, one of the 20+ establishments will have something to suit your needs. Opening hours for most start at 4am in the morning, and end with the last flight. They are all easy to find; if in doubt, ask a member of staff at the airport. The cafe offers a stunning menu of French dishes with the North African twist, such as Thyme infused roasted plums! In the morning Cafe Balzar will greet you with their breakfast menu (some lovely cereals!) and later on with their main menu, as well as some exciting offers to kids. 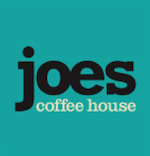 Joe’s Coffee House is a fun family-friendly food outlet, offering excellent take-away snacks and meals, as well as great coffees made by experienced baristas. Food range includes sandwiches, salads, soups and other treats. One of the highstreets favourite chains takes pride of place before security with plenty of options for those on the go; sandwiches, sushi and salads galore! Full of colour, full of zest and vitamins, Pip’s drinks are an amazing start to your day at the airport, especially if it was an early start! 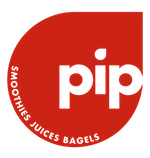 Pip serve nutritious fruity juices and low-fat yogurt smoothies. Also offering bagels, coffee and other goodies! Loved by kids, adored by adults. 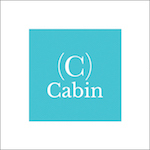 Add a touch of class to the start of your trip and enjoy quality wine and food in the chic Cabin Bar. You’ll find that this softly lit, expertly staffed cove is the perect place to escape the rush of departures. Explore the flavours of American cuisine before jetting off from Stansted! A perfect casual dining spot, Coast to Coast boasts a menu filled with American classics, as well as cocktails to suit any taste. Leather seating and an impressive bar creates a unique space to relax before your flight. The perfect place to grab a delicious Italian coffee, hot bacon baguette, indulgent cakes, pastries and more. Take a seat and do a spot of people watching, or grab and go. This bright, funky and friendly restaurant serves a range of meals all day, to please all tastes. Giraffe restaurants are known for their great taste in music too! If pressed for time, they promise to serve you within 15 minutes from ordering your meal. Menu includes gluten-free options, kids meals, a breakfast choice, and of course drinks. Children are very welcome, in fact, so welcome they will get little Giraffe toys, treats and crayons. Situated in the centre of International departure lounge, Halo invites passengers to relax before their onward journey in a trendy, vibrant and beautifully designed environment. If you are on the way to celebrate a special occasion, why not start with some fizz at Halo? The award winning coffee chain has a branch at Stansted which offers a range of stunning coffees. What best describes an easy and stress-free passing through the airport terminals? The smell of fresh coffee! Get yours at Harris + Hoole! This is an ideal spot for the music lovers who like to unwind before their flight. Featuring modern and subtle decor, the bar offers a wide range of snacks and drinks to suit any taste. Itsu is a new concept in food: their offering is lower in fat, lower in calories, yet filling and nutritious. Just like their logo, the food is as light as a butterfly, green, fresh and well-sourced. James Martin Kitchen bakery is a new addition to Stansted Airport’s list of excellent food outlets. You can choose from a wide range of freshly baked goods, ranging from the deliciously sweet to the moreish savoury. Ideal for both eating-in and taking away, James Martin Kitchen food shows the best in proper British food – locally sourced, fresh and modern. If you follow James Martin, you will not be disappointed – plenty of butter on scrumptious bread! When in a hurry to board your plane and at the same time looking for a bite to eat, pop in to Leon. Proudly aiming to serve your food as fast as possible, Leon boasts a fantastic setting, freshly cooked well sourced food and those mouth-watering Mediterranean flavours. 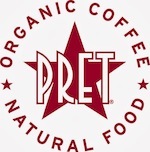 A staple to any high street, this global coffeehouse serves ethically sourced and roasted arabica coffee, as well as a wide range of snacks, pastries, sandwiches and salads. 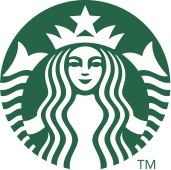 Some of their hot beverages sound rather intriguing, such as Pumpkin Spice Latte. As the name suggests, this is a mini-pub situated just after security and offers a wide variety of snacks and drinks, including wine, beers and spirits. 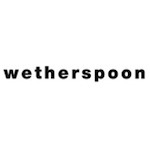 The Windmill, operated by JD Wetherspoon, specialises in real ales, such as local beers and boutique breweries, as well as craft beer and lager. The 7,000 square feet space boasts flight-information boards, recharging points for mobile phones and laptops, dining booths and a see-through cellar. Revamped and newly opened in April 2019 to feature a larger space including a 30-metre-long window overlooking the runway. 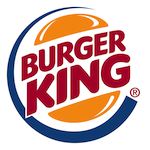 A popular specialist in flame-grilled fast food, Burger King serves their classic meals at affordable prices. A firm family favourite and perfect for a quick bite before you head home. Think burger, think Burger King.